During a funeral of childhood friend Capt. 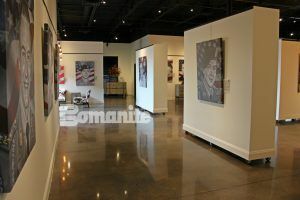 Blake Russell, who had been killed in Iraq in 2006, professional artist Phil Taylor was inspired by stories told of Blake’s patriotism and courage. Phil knew that he wanted to contribute to the Russell family’s healing process, so he painted a portrait of his childhood friend for them. It was one act of kindness that he hoped would help. 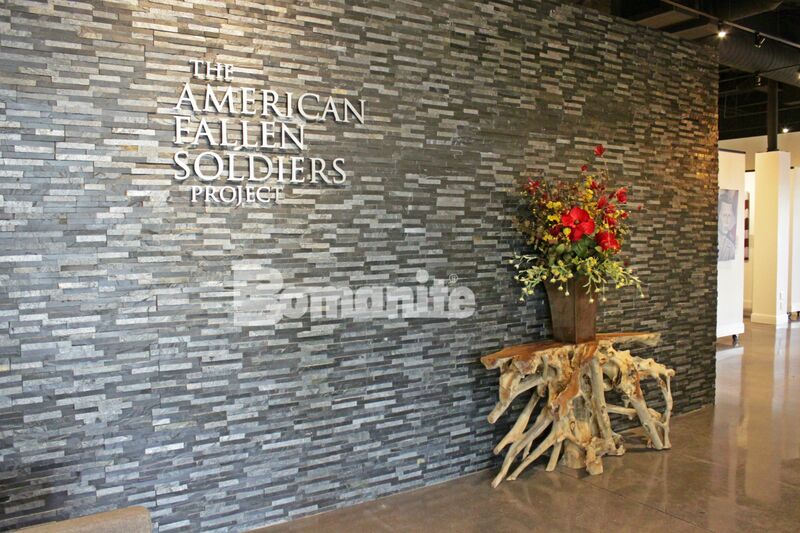 In 2016 The American Fallen Soldiers Project National Gallery opened its doors with 5,000 square feet of gallery and office space. 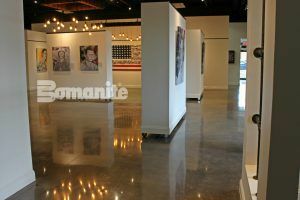 The decorative concrete floors were installed by licensee Texas Bomanite and consisted of 3,040 square feet of dyed and polished concrete in Bomanite’s Black Orchid using Bomanite Patene Teres system polished to a 400 grit. The Polyurea Joint Filler was in the color Gauntlet Grey. 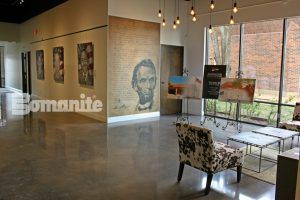 To keep costs down for this very special project, Texas Bomanite discounted the retail price as a donation towards the project’s success and was honored to be part of this special space. 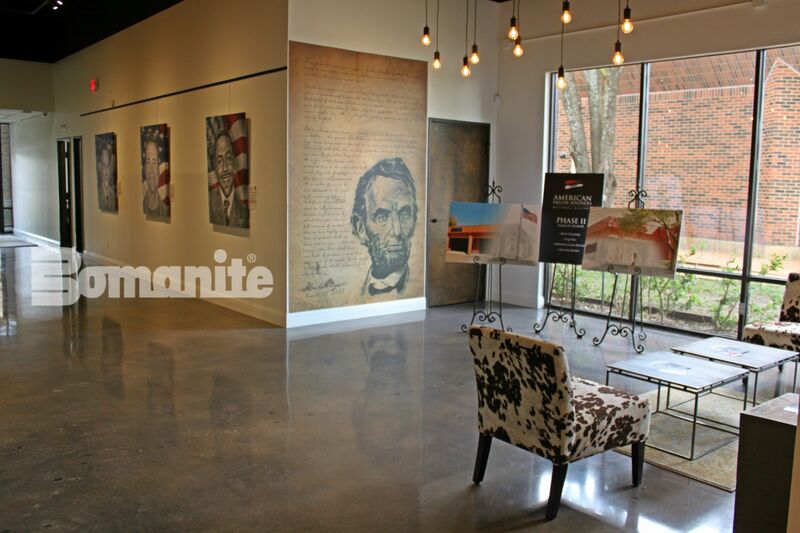 The beautiful elegant gallery is a place of peace and solace through art and displays in a setting of inspiration and healing. 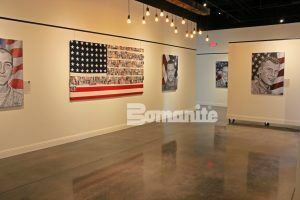 An especially poignant display is an American flag with the stripes covered by photos of the fallen. In his portraiture work, Phil Taylor takes special care in not only capturing the features but the actual essence of the fallen soldier he is painting. It is not just a typical portrait painting, but more the life and energy, the appearance and the personality, of the person represented on canvas. By telling the stories of those who have served and made the ultimate sacrifice, the gallery strives to change the lives of generations to come. 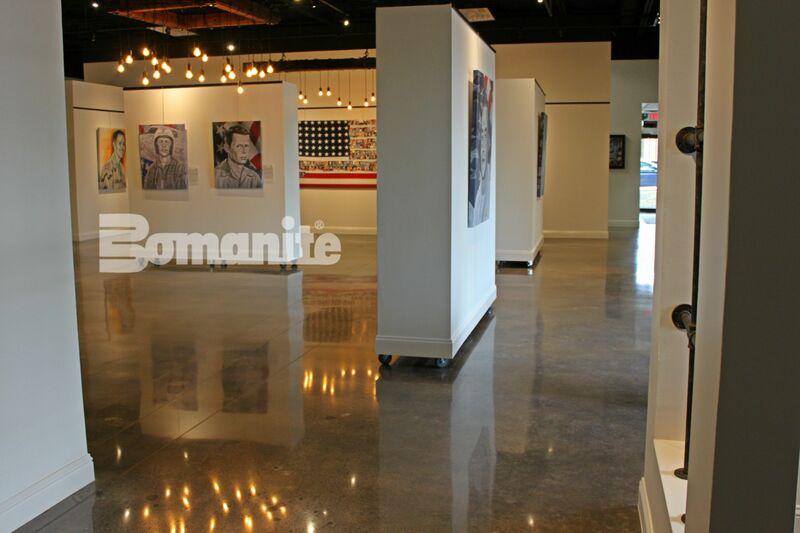 It truly is a Portrait Gallery Like No Other.